Turkey, Germany, 2016, 94 min. 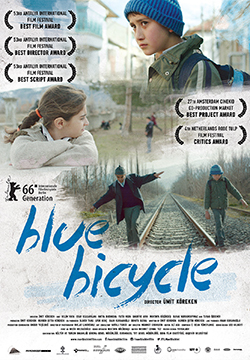 12-year-old Ali lives in the Anatolian countryside and is saving up for a blue bicycle. Yet is he ready to sacrifice this dream to rectify an injustice he witnesses? Born in Akşehir, Turkey, in 1978. Graduated from Anadolu University’s Faculty of Business Management. He has written for radio, theatre and screen, and published in print and online media.